Please contact our Saving Nine team info@savingnine.co.uk and inform us of the fact you intend to return order. You will need to provide order number, items to be returns and a general reason. We will start the refund process including the cost of return postage. Once the return has been received and booked in, we will issue refund as long as terms laid out above are satisfied. Refund usually take about 2-3 days, depending on your bank but can go quicker. Refunds will only be given in accordance with your legal rights, and in the case of underwear; this can only be accepted for return and refund in the original packaging and the goods unworn. This does not affect your statutory rights. You may return all items fulfilled by Saving Nine within 30 days of delivery for a full refund of the cost of the product. Unwanted orders must be returned by post and the cost of delivery is payable by the customer. However, if you are returning an item for refund because it is defective or damaged, Saving Nine will refund the delivery charges incurred in sending the item to you and pay your costs of returning it to them by refunding your return postage costs. 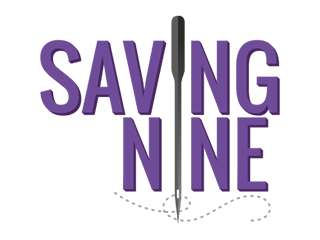 Saving Nine will examine all items returned as defective or damaged and in the event that Saving Nine finds no fault, we reserve the right to recover all charges refunded to you and to recover any fees and expenses from you. If you want to exchange an item for a different item, you will need to return the item at your cost and place a new order.